Hello again everyone! 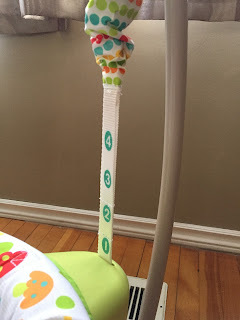 Welcome to Mommy Mondays on my blog. 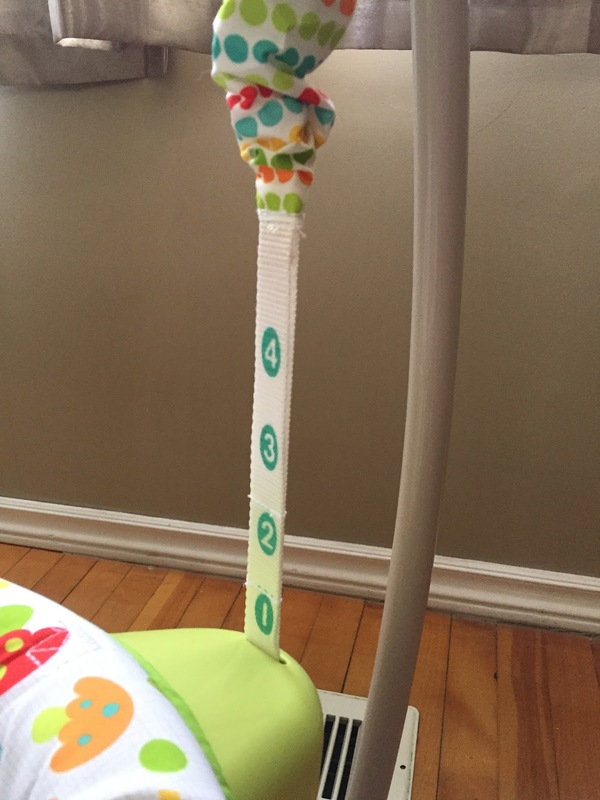 I recently purchased the portable Jumparoo because not only is my baby almost 4 months old and becoming extremely active, I needed a way to keep him off his back as much as possible to his ever flattening head (more on that next Monday). I also have a small home, and the regular Jumparoos I found were pretty large and can not be folded down to save space...enter the portable Jumparoo. A nice feature about this product is the 4 level system. 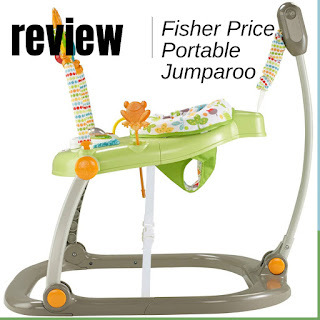 It can adjust to your ever growing baby to create the best bouncing experience possible. 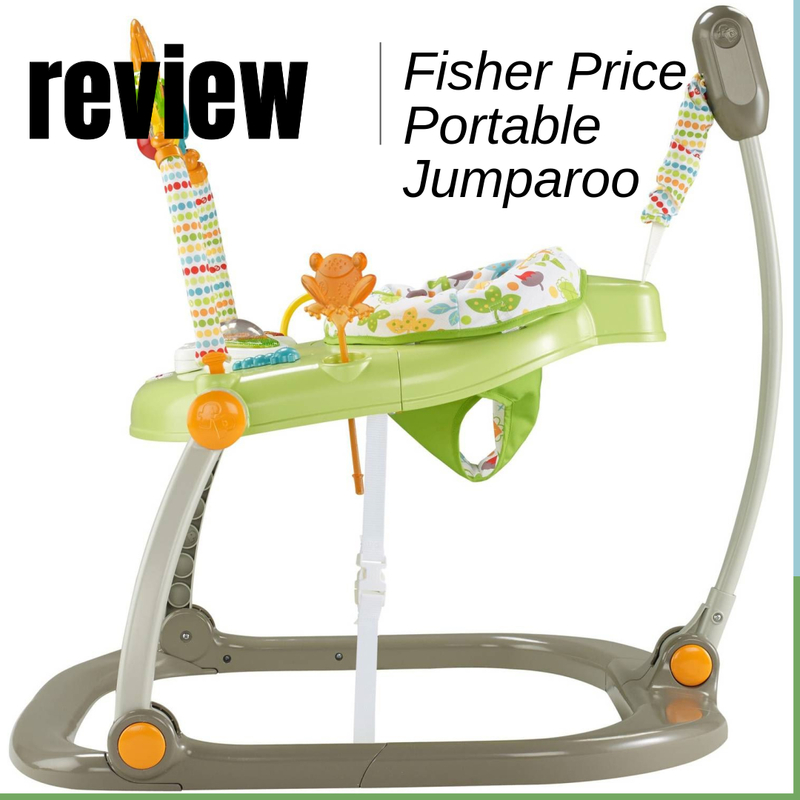 It has music and animals sounds that can be played continuously or be set to making sounds when your baby is moving, encouraging their activity. There is l ots of fine motor opportunities as well with moving parts and flashing lights to provide visual stimulation. My favourite part of this activity centre though is the fact that I can collapse it down with the push of a button and store it away when not in use, or easily load it into my car and take it with us when we go away. It lies flat for optimal storage, which is great for a small space. What products keep you sane as a mommy, and what would you recommend for a small space?